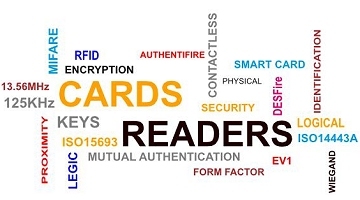 Whether you require a complete card/reader solution for your new access control system or just need to source some more cards for an existing application, Authenticard’s range of credentials, readers and technologies will meet every need and every budget – all with the same cornerstones of quality associated with the name Authenticard. When is a card not a card? When it is a keytag or a wrist-band or other form factor. Whether you need a securely printed ID card to wear in the office, a robust keyfob on your keyring, or maybe a wrist-band for convenience, Authenticard have the solution. 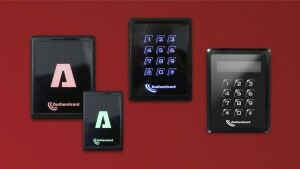 Designed to suit both your access control system and your office environment, the stylish Authenticard reader family delivers exactly what you need with a choice of models for every application. Authenticard offers scalable identification solutions for all applications utilising the best trusted technologies and protocols. 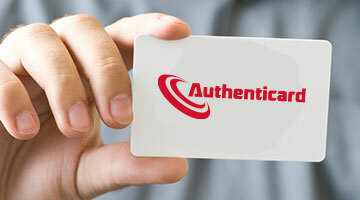 Authenticard technology protects your secure identity.